Jerry Dias: "If we can't solidify the footprint in that market, we're never going to solidify the footprint. So, guess what? We're going to solidify the footprint." 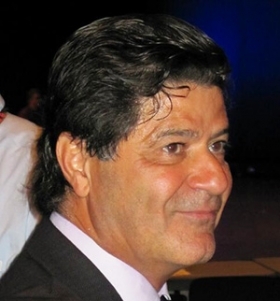 TORONTO -- Unifor President Jerry Dias will draw on his nearly four-decade career in labour to prevent a potential “death spiral” for Canadian auto manufacturing when negotiations with the Detroit 3 kick off this week. Unifor will exchange labour contract proposals with General Motors, Ford Motor Co. and Fiat Chrysler Automobiles beginning Wednesday, kicking off a round of labour negotiations in which the future of several plants will take center stage. The current contracts expire Sept. 19. Dias, 57, speaking with Automotive News from his office at the union’s headquarters here in late July, said Unifor will not strike deals with the Detroit 3 if they do not secure new product at GM’s Oshawa assembly plant, ensure the Ford Windsor engine plants’ future and lock in investment in FCA’s Brampton assembly plant. He said workers will strike if necessary. Dias says the automakers’ healthy sales numbers and financials, cheaper Canadian dollar and a friendlier political environment make this the ideal time to fight for new investment. Still, in the face of an increasingly global marketplace, Dias faces a tall task if he hopes to reverse the decline in Canadian auto manufacturing, which has suffered because of higher labour costs and less favorable trade agreements, among other factors. But it’s not the first time Dias, Unifor’s first president, has been involved in high-stakes situations in his nearly four decades in labour. The son of a former local president at the Canadian unit of the UAW began his ascent up the Canadian labour ladder at de Havilland Aircraft of Canada, an aircraft manufacturer later purchased by Bombardier Inc. He joined as a sheet metal worker in 1978 and quickly worked his way up to become shop steward and plant chair. Following in his father’s footsteps, he became president of the Canadian Auto Workers Local 112, which represented workers at the plant. Dias attributed his quick rise to being immersed in labour from a young age. He said he drew on his experience growing up in and around the labour movement during numerous high-stakes negotiations, perhaps most notably when Boeing Co. attempted to sell its de Havilland division to a European consortium in the early 1990s. Dias said the union put together “one heck of a campaign” to save the plant and prevent the sale, which ultimately was blocked by the Canadian government. By 1993, he became the CAW’s national aerospace sector coordinator and by 2007 was named an assistant to then-CAW President Buzz Hargrove. And when the CAW merged with the Communications, Energy and Paperworkers Union of Canada to form Unifor in 2013, Dias was named the first president of the largest private-sector union in the country. Though he’s confident new product and investments will be secured, Dias is well aware of the challenges Unifor faces with the Detroit 3. Dias sees GM’s Oshawa as the plant most at risk of closing. GM produces four vehicles in Oshawa -- the Buick Regal, Cadillac XTS and the Chevrolet Equinox and Impala -- all of which are set to move out of the plant or wind down by next year. Its consolidated line, which produces the Equinox and originally was set to close in 2008, is seen as especially in need of new product. “There is no question Oshawa, in my opinion, will close if we don’t solidify the plant,” Dias said. He said things aren’t much better at Ford’s Windsor engine assembly plants and at FCA’s aging Brampton factory, which produces the Chrysler 300 and Dodge Challenger and Charger. Dias said each facility is in desperate need of new commitments from the Detroit 3 -- and the union won’t back down until it gets them. The challenges Canada, and the U.S. Midwest, for that matter, faces in the wake of a highly globalized marketplace are no secret. Not only does Mexico offer much lower labour costs, it has more than 40 free-trade agreements that allow automakers and suppliers to ship their products worldwide without tariffs. But Dias notes that Canada offers several advantages for automakers, including a low dollar, a socialized health care system and a highly educated work force that, “respectfully,” is better trained than those of most U.S. states, let alone Mexico. “The bottom line is that Canada builds about 15 percent of the vehicles for the Canadian market, and we win about 30 percent of the awards,” he said. Dias said Unifor likely will be aided in negotiations by the Liberal federal and Ontario governments led by Prime Minister Justin Trudeau and Premier Kathleen Wynne, respectively. Wynne, for instance, in June announced an $85 million Canadian investment in FCA’s Windsor assembly plant and signed a memorandum of understanding with Michigan Gov. Rick Snyder last week designed to increase the region’s competitiveness in the auto industry. Unifor has not been afraid to flex its political muscle under Dias’ leadership, urging its members to vote against Stephen Harper’s Conservative government and for Trudeau’s Liberals in last year’s elections. Dias hopes to use that clout to secure new investment from the auto industry with incentives from the federal and provincial governments, which he said would go a long way toward keeping auto jobs in Canada. Harper had “no vision for a manufacturing sector in Canada,” Dias said, leading to the loss of thousands of auto jobs. He said he rarely spoke with the Harper administration, a stark contrast to today, when he speaks with various ministers on a weekly basis. Dias said Unifor kept close tabs on the UAW’s negotiations with the Detroit 3 last year in which the union secured an end to the two-tier wage system and billions of dollars in new investments after a contentious ratification process. Dias called UAW President Dennis Williams “an incredible leader” who “inherited a real mess” after former UAW President Ron Gettlefinger, who preceded Williams and Bob King, signed off on the two-tier wage system in 2007. With the new government and Canada’s productivity advantage, Dias said he’s confident palatable deals can be secured. “Am I expecting a fight? The answer is no. Am I expecting bargaining is going to be easy? The answer is no,” he said with a chuckle.